Standing outside the new building in Edmonton’s downtown, Miranda announced the Royal Alberta Museum will hold its grand opening on October 3. Plans to build a new museum were first announced in 2011. Crews began work on the building in 2013, and finished the primary phase of construction in 2016. A total of $375.5 million was invested in the new project: $253 million by the Alberta government, and $122.5 million from the federal government’s Building Canada Fund. The RAM is said to be western Canada’s largest museum at 419,000 square feet. Visitors will recognize some familiar objects and spaces, such as the expanded bug gallery, among new exhibits like the Human History Hall, Natural History Hall, and an interactive children’s gallery. “I think that everyone who has been involved in this extraordinary project will say we cannot wait to see all of you walking through the halls and experiencing this magnificent place,” said Miranda said. The public will be able to visit the museum free of charge for the first six days of its opening. To visit during the no-admission window, visitors must book a timed ticket at royalalbertamuseum.ca. - October 3: noon – 5 p.m.
- October 4: 10 a.m. – 8 p.m.
- October 5-8: 10 a.m. – 5 p.m. Regular paid admission prices and hours begin October 9, and will be posted on the museum website. 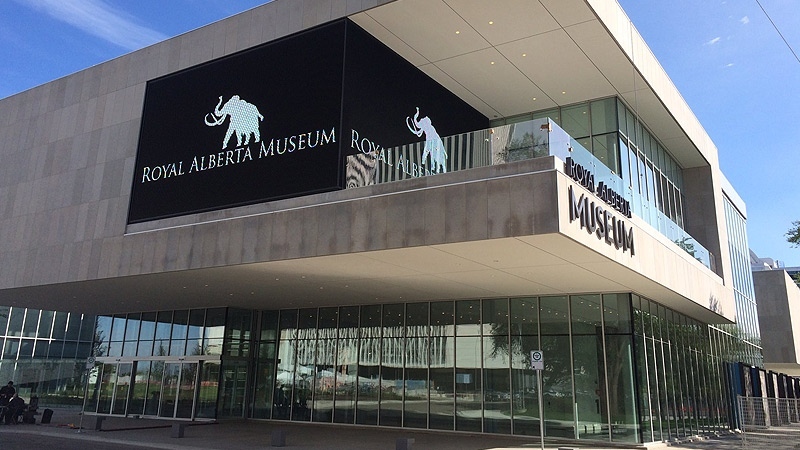 The Royal Alberta Museum, which saw its primary construction phase finished in 2016, is scheduled to open October 3.